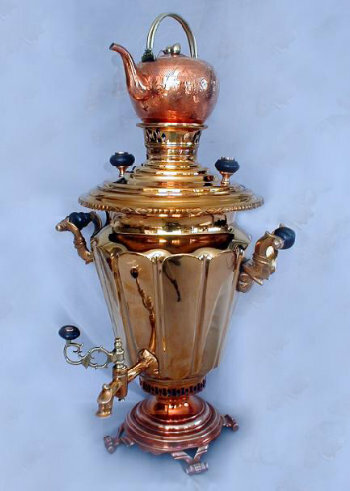 Rare, magnificent Red Tombak bronze Samovar with hand wrought tea pot. Conical paneled body with bead and diamond upper rim. Detailed scroll handles. Self-footed circular skirted base with scroll feet. Four seals. Dimensions: H 21" (28" with tea pot) W 15"